Engineering is a broad term that covers a wide range of applications and industries. Engineering spans across four major disciplines: mechanical, chemical, civil, and electrical. All of them are similar in the fact that they combine mathematics, science, and technology to produce creative solutions to real world problems. Engineering is one of the STEM fields. There are many different types of engineering degrees to choose from throughout the four disciplines. A bachelor's degree in engineering is the entry level requirement for most engineering jobs. The degree is also a prerequisite to earning a master’s degree, which may be needed for advanced positions. Engineers solve the problems and issues that affect our everyday lives. They brainstorm, design, manufacture, and maintain different components and systems that keep our country running and advancing. From computers to corkscrews and even chemical reactors, engineers are involved. For most entry level positions, a bachelor’s degree in engineering from a program accredited by the Accreditation Board for Engineering and Technology (ABET) is required. Bachelor degree coursework includes intermediate and advanced mathematics, life and physical sciences, engineering, and design. As an engineering student, you may also spend time in the computer lab, working with advanced computer-aided design (CAD) software. In some cases, a bachelor’s degree in physical science or mathematics will be enough to get hired. On the other hand, you could choose to complete a two-year pre-engineering degree, find related work, and then transfer to a four-year school to finish the remaining requirements. It all depends on you and how you want to approach your schooling. Tuition can vary greatly depending on the school and the program, ranging from $14K through over $50K for a bachelor’s degree. Because engineer salaries are high, getting this degree gives you a great return on investment. Engineering degree programs often require students to participate in an internship. Internships will not only provide you with hands-on experience but also opportunities to develop professional relationships with mentors and industry contacts. In so many cases, finding a job is all about who you know, so when you have an opportunity to network through an internship, it’s wise to take advantage of it. While licensing isn’t required across the board, the vast majority of engineers will want to become so: It’s already a must to perform certain responsibilities and roles, and more agencies and companies are trending toward hiring only licensed engineers. These licensed engineers are called Professional Engineers (PE). You can apply for a license after completing an ABET-accredited bachelor’s degree program in engineering. You first must pass the Fundamentals of Engineering (FE) exam offered by the National Council of Examiners for Engineering and Surveying. After four years in the field, you’ll be eligible to take the Principles of Practice of Engineering exam to become a PE. You may have to take continuing education to maintain your license, so always check with your state about requirements. Engineers are also able to get certifications to show their competency in specific fields. Certifications along with engineering societies and organizations can help qualify you for career advancement. As an entry level engineer, you’ll gain experience and knowledge that may allow you to work independently without a supervisor breathing down your neck. Eventually, you may move on to roles such as technical specialist or supervisor. Mechanical engineers research, design, develop, build, and test mechanical devices. It’s one of the broadest engineering disciplines, so a degree in mechanical engineering can open up a variety of career opportunities. From automobile manufacturers to government agencies, there is always a need for mechanical engineers. Mechanical engineers analyze problems to figure out how mechanical and thermal devices might have the solution. When they have determined this, they design these devices in a CAD program. They then develop and test the devices, analyze the results, and modify as needed. Once this is complete, they oversee the manufacturing process. Nearly all entry level careers in mechanical engineering require a bachelor’s degree in mechanical engineering or mechanical engineering technology from an ABET-accredited school. Mechanical engineering degree programs include mathematics courses, physical sciences, and design courses. You’ll be instructed in various system components and technical subjects and gain a basic understanding of civil, chemical, and electrical engineering. Many programs also include coursework in areas where mechanical engineering is applied, such as business or environmental science. Some colleges offer five-year programs that let students get both a bachelor’s degree and a master’s degree. These programs combine study with practical work—you can gain valuable experience while earning money to help finance your education. Graduate education is essential for engineering faculty positions in higher education, as well as for some research and development programs. Many experienced mechanical engineers earn graduate degrees in engineering or business administration to learn new technology and broaden their education and enhance their project management skills. Every state requires mechanical engineers to earn licensure as a Professional Engineer (PE) if they sell services publicly. To obtain a PE license, students must have a bachelor’s degree from a four-year institution accredited by ABET and work experience under the supervision of a licensed engineer. Candidates must also pass the Fundamentals of Engineering and Principles and Practice of Engineering tests. There are also professional organizations, such as the American Society of Mechanical Engineers, that offer a variety of certification programs. These certifications will allow you to demonstrate your competency in the fields of mechanical engineering. The average yearly compensation for a mechanical engineer is $85K. The top 10 percent will earn about $133K, while those just starting their careers will bring in more than $55K annually. Top paying industries are architectural, engineering, and related services, scientific research and development, aerospace products and parts, motor vehicle parts, and the Federal Executive branch. Top paying states are Alaska, D.C., New Mexico, Louisiana, and Texas. All of these areas and locations pay well over $100K. Average job growth across industries is 5-7 percent. Mechanical engineering jobs are projected to grow 9 percent over the next few years. This is a bit faster than the national average. While job prospects are decent, expect some competition. If you want to stand out above the crowd, learn as much as you can about 3D printing and virtual simulations. Mastering those two things will put you in high demand. Find a mechanical engineering program near you. Mechanical engineering offers an incredible list of career options. Robotic engineering: You’ll design and test robotics across multiple systems and applications. You will need a bachelor’s degree and internship to get into the field. Less than average growth is predicted for this $95K+ per year career. Heating and cooling engineering: This is a more advanced career in HVAC where you’ll need at least a bachelor’s degree. You will be designing systems for buildings such as residential, industrial, and educational. Expect an average salary of over $83K, with about average employment growth. Aerospace engineering: You’ll work on projects relating to national defense, such as aircrafts, spacecrafts, missiles, and satellites. To become an aerospace engineer, you’ll need to start off with a bachelor’s degree. The average salary is $109K. Nuclear engineering: You’ll be working with nuclear and radioactive equipment, from medical equipment to power sources. You must have a bachelor’s degree in nuclear engineering with knowledge in mechanical engineering. Employment growth is slower than average because of a decline in electric power generation. However, the research and consultation aspect of the profession will grow. Salaries are averaging $102K. Materials engineering: You will develop and test materials for products from nanomaterials to airplane wings. You’ll get a bachelor’s degree in material science and engineering, and like most engineering careers require, you’ll have to find an internship to gain hands-on experience. Once you’ve been a materials engineer for a few years, your salary will average around $93K. Petroleum engineering: Designing and developing oil and natural gas extraction from new and old wells will be a main focus of your career. You can major in petroleum, mechanical, or chemical engineering in college, where you’ll get your bachelor’s degree and participate in an internship/co-op ed programs. Your average salary will be $128K. Architectural and engineering managers: You’ll plan, direct, and coordinate day-to-day activities in offices, labs, or plants. You’ll need a bachelor’s degree in order to work in this position. The average salary is $134K. Drafters: You’ll use special software to transfer the designs of architects and engineers to technical drawings. An associate’s degree is the minimal requirement for this position, which pays over $53K annually. Sales engineers: You’ll sell technical and/or scientific products to other companies. You should have a bachelor’s degree in engineering to have working knowledge of the types of products you’re selling. Because your job is commission based, you may encounter job-related stress due to trying to keep your numbers up. Sales engineers earn an average salary of $100K or over $48/hr. Find a chemical engineering program. As a chemical engineer, your knowledge in math, biology, physics, and chemistry are pretty limitless. You help to propel the advancements made in the production or use of products such as food, fuel, and medications. You’ll also design the layout of many different types of manufacturing equipment. Chemical engineering is not only an exceptionally useful career but also highly rewarding and satisfying, because you know you’re doing good for humanity. Chemical engineer have a variety of job-related tasks. You’ll do research to improve processes, along with conducting tests and monitoring the results of these processes. You’ll also have to establish the safety protocol connected with the newly minted procedures. Checking equipment to make sure it is up to code and troubleshooting problems are part of your daily routine. Managing the funds related to your department may also be something you’ll be in charge of. An office or lab will be your work home, and you’ll need to work well with the others there involved with your project. You’ll be up to the task, though: Your education prepared you for everything involved with chemical engineering. If you are in high school and you know your calling is as a chemical engineer, then you need to stock up on chemistry, physics, biology, algebra, trig, and calculus classes. Aim for high grades in them as well. A four-year bachelor’s degree in chemical engineering is mandatory for this career. Some universities offer a five-year program that combines both the bachelor’s and master’s degree requirements. Whichever program you choose, make sure it’s accredited by the ABET, otherwise your credits won’t count if you decide to transfer or want to become certified/licensed. For some hands-on experience, get yourself an internship or join the co-op program relevant to the chemical engineering industry. To stay competitive, get at least a master’s degree. You may want to even consider a doctorate: Despite the fact that only a bachelor’s degree is necessary, most chemical engineers have more advanced degrees. One of the areas chemical engineering differs from most other engineering careers is that it’s not as common to get licensed, and it’s not mandatory for entry level positions. You can always decide to get your Professional Engineering designation later on in your career. As a chemical engineer, you’ll most likely be working more than the traditional 40-hour work week. You’ll have deadlines, targets, and problems that arise whose flames need putting out. However, the median yearly salary is $102K, making up for those days you work overtime. The highest paying industries for chemical engineers are waste management services, oil and gas extraction, computer systems designs, management of companies, and architectural, engineering, and related services. Top paying states for chemical engineering are Texas, Delaware, Arizona, District of Columbia, and Louisiana. Pay can range up to $111K-$143K, depending on the industry and location. Academia: The best people to teach engineering to college students are engineers. You will have a deep understanding of the subject and are more likely able to assist your students. Much like the duties of other teachers and professors, you instruct classes, give lectures, assign work, and grade assignments. You earn over $75K annually. Dyes, pigment, and ink chemist: You analyze, develop, and synthesize new pigments and dyes using a variety of different processes. You’ll definitely need a chemistry background, or a closely related field, for this career. A Ph.D. and post doctoral fellowship are also commonly sought by students going into dyes, pigment, and ink chemistry. Entry level positions can be had with a bachelor’s degree—you can work as a research assistant or technician. Chemists earn an average of $73K. Mining and geological engineer: Design mines and make sure they are operated safely for people and the environment. In high school, take loads of maths and sciences. There aren’t many schools that have mining or geological engineering specifically. Instead, you can look into chemical engineering with a strong focus on geology, physics, math, and mine safety. On top of your classwork, you’ll also have to do lab and field work. Getting a degree in civil engineering is another feasible way to enter this field. The average salary is more than $93K. Petroleum processing: As a chemical engineer working in petroleum processing, you’ll be testing samples from different drilling sites. Sometimes, travel may be involved. You’re needed to come up with different methods of separating and refining the elements making up crude oil. You also will be researching different additives and seeing their impact on humans and the environment. Earn an average of over $130K. Pharmaceutical manufacturing: New medication is constantly being created, and it’s chemical engineers who are at the forefront. Your skills are necessary in the pharma industry because of the research around the chemicals and their interactions with humans. Some chemical engineers focus on creating synthetic drugs that mimic what the human body does, such as thyroid medication that makes the body think the thyroid gland is working, even if it isn’t. They make $103K+. Environmental engineer: Weighty environmental problems are constantly arising. Environmental engineers try to improve pollution, recycling, waste disposal, and other environmental disturbances through a variety of sciences. An entry level environmental engineering position requires only a bachelor’s degree. If you want to be employed on higher levels, a master’s and Ph.D. are preferred. Median salaries are more than $84K. Find a civil engineering program near you. When it comes to engineering, civil is the oldest discipline. It can date back to when the first structure was erected or a primitive bridge was made from logs, all to make life better and easier. Of course, advancements have been made, and more complex buildings, bridges, and structures are developed, thanks to civil engineers. Civil engineers can be found in both the public and private sectors. If you choose the civil engineering path, you’ll plan, design, construct, research, and teach. Infrastructures will be repaired or created by you. Bridges, dams, roads, water systems, and airports are on your to-do list. Whatever the project you’re working on, you can rest assured it will be complex. But the end result will be present for you, and everyone else, to marvel at and use. The minimum requirement for civil engineering is a bachelor’s degree. However, you’ll probably only find entry level positions with that level of education, because employers are starting to favor advanced degree in the field. Expect to take a heavy load of math, statistics, engineering, and other courses related to civil engineering. You’ll have a mix of classroom, lab work, and field study throughout your college career. Co-op programs are an important piece of your education. There you’ll gain hands-on experience as you study your way toward your degree, and hiring managers do prefer it if you’ve participated in available co-ops. Make sure that whatever college you attend, that it’s accredited by ABET. Otherwise, you won’t be able to earn your PE credentials and all will have been for naught. 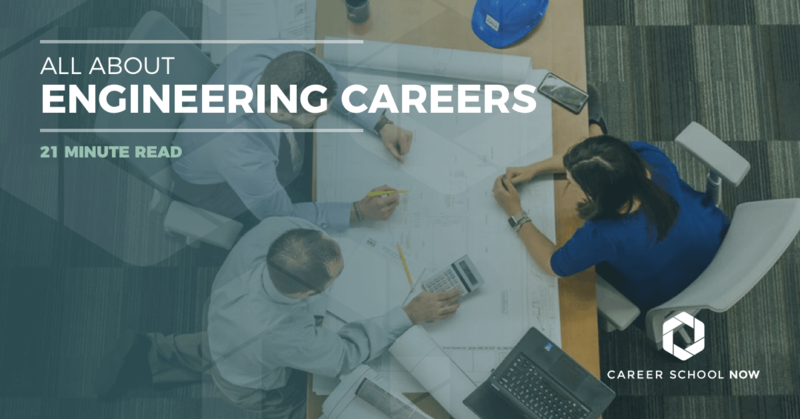 While licenses are not required for entry level positions, to advance in civil engineering you’ll need to get your Professional Engineering (PE) license. Once you get your PE, you’ll be able to oversee others, approve plans, and sign off on projects. While you’re receiving your bachelor’s degree, you can take the initial Fundamentals of Engineering exam. This will earn you the title of Engineer in Training (EIT) or Engineering Intern (EI). Once you’ve had the required amount of work, you’ll be eligible to sit for the second exam, the Principles and Practices of Engineering. For every type of engineering license, each state has its own set of regulations. However, many states recognize licenses from other states as long as the requirements meet or exceed their own. The median annual salary for civil engineers is $84K. Entry level is $53K, and civil engineers who have been at it for a while earn an average of $138K yearly. Project directors usually work over the 40-hour work week, but most others have traditional hours. Employment growth is expected to be 11 percent, or over 32,000 jobs opening, through 2024. This is much faster than most other careers. Participating in co-ops while you’re in college will give you a better chance of being hired. Graduate education is also a plus. Top paying industries are manufacturing, oil and gas extraction, scientific research and development, instrument manufacturing, and aerospace product and parts manufacturing. Pay ranges from $109K-$144K. Top paying states for civil engineering are Alaska, District of Columbia, California, Texas, and New Jersey. Pay runs from $98K-$120K in these locations. Different career options with a degree in civil engineering include the following. Construction engineers: You’ll design, manage, and oversee construction projects, from buildings to roadway to bridges to mechanical workings. Basically, anything that makes up our infrastructure will have your fingerprints on it. A bachelor’s degree is the minimum educational requirement. Salaries average $84K annually. Geotechnical engineers: Earth’s materials are what you’ll be focused on as a geotechnical engineer. Construction and structures that interfere in any way with the earth are overseen by geotechnical engineers. Payscale.com places the median salary at $94K. Structural engineers: Structural engineers make sure projects such as bridges and buildings are structurally sound—that they can support themselves and other objects such as cars or humans. Your salary averages $66K annually. Transportation engineers: Streets, highways, mass transit, harbors, and other areas of transportation are designed, managed, and overseen by transportation engineers. According to Payscale.com, the average salary is just over $63K. As an electrical engineer, you’ll redesign old electrical-powered products and develop new goods. Calculate and set all the standards and specifications, along with the development, construction, and installation of said products. To join the ranks of these pioneers, you must have a deep understanding of electronics. You’ll be dealing with large-scale products to the most miniscule nano-product, all powered electronically. If you’re a high school student exploring electrical engineering options, think about focusing your studies on physics, math of all kinds, and drafting. These subjects will help prepare you for your college program. Once you start looking into university engineering programs, it’s important to choose one accredited by the ABET. A bachelor’s degree in electrical, electronics, or electrical engineering technology will be what you’ll graduate with. Some universities offer a 5-year program that will allow you to get both a bachelor’s degree and a master’s degree. If your college offers a co-op program, get involved in it. Employers look for that type of experience when they are hiring. Otherwise, an internship will be just as beneficial. Entry level positions in electrical engineering do not require you to be licensed. However, you should definitely get the Professional Engineering (PE) certification a little further on in your career. The PE will allow you to move higher up the career ladder. To become PE certified, you will need to take the FE exam directly after completing your bachelor’s degree. Once you pass that, you’ll considered an Engineer in Training (EIT) or an Engineer Intern (EI). From there, after you’ve established enough work experience, you can then take the second exam which is called the Principles and Practice of Engineering (PE). Each state has different timing and requirements for certification eligibility, but once you’ve received the designation, most other states will honor it as long as their requirements are met or surpassed. Electrical engineers earn a median wage of $95K annually. The top 10 percent earn $150K, and entry level earn $59K. Average employment growth is expected through 2024. Because of how fast technology grows, many of the available jobs will be in research and development. The top paying states for electrical engineers are Alaska, California, District of Columbia, Massachusetts, and Rhode Island; these states have an average pay in the $106K-$122K range. States with the highest employment levels are California, Texas, New York, Michigan, and Massachusetts, with pay ranging from $109K-$115K. Here are some different career options for those with a degree in electrical engineering. Electronics engineer: As an electronics engineer, you’ll design and develop electronic products from handheld devices to larger GPS systems. This career is extremely similar to electrical engineering; the major difference between the two is that electronics engineers are more interested in the smaller parts, whereas electrical engineers are focused on the electrical systems. Salary is $77K-$123K on average. Computer hardware engineer: All the parts and pieces that make up a computer are designed and tested by computer hardware engineers. They are also known as hardware engineers. A bachelor’s degree in electrical or computer engineering is the minimal requirement. Employment growth is on the slower side of average for this career. Median salary is $115K. Electrical and electronics technicians: Electrical and electronics technicians: These are two separate careers, but they have similar duties. You’ll work alongside electrical or electronic engineers, helping them with their job duties. An associate degree is the minimum educational requirement, and you’ll also need training, as well. The average salary is $62K. Electrician: For a detailed look into becoming an electrician, please check out this career guide to electrician careers. You’ll need either an associate’s degree, an apprenticeship, or a combination of the two. The average salary of an electrician is $53K. Electromechanical technician: With this skilled trade career, you need an associate degree or higher, along with training. You’ll assist engineers with testing, as well as operate, test, and maintain a variety of electromechanical equipment. Job growth is a tad bit slow, and the average salary is $56K. More subdisciplines in electronic engineering are microelectronics engineering, signal processing engineering, telecommunications engineering, instrumentation engineering, and power engineering. All training for these careers starts out in college in the electronics engineering program. There are online engineering degrees available in a variety of disciplines including biomedical, civil, computer, electrical, and mechanical engineering. Online engineering degrees are available at all levels from certificate to doctoral. Online engineering programs allow prospective engineers to prepare for a career in the field in a more flexible school environment. Online programs are also beneficial for current engineers as they can use distance programs to further their training while continuing to work. It is important for online engineering degrees to be accredited by the Accreditation Board for Engineering and Technology (ABET). Most states require ABET accreditation before graduates can practice engineering or earn an engineering license. Attending an accredited school ensures you will receive a quality education, that credits will transfer, and that employers will recognize your degree. Find an online engineering program.